Essentra’s self-adhesive resealable labels can be tailored to meet the specific requirements of most substrates to ensure high performance. 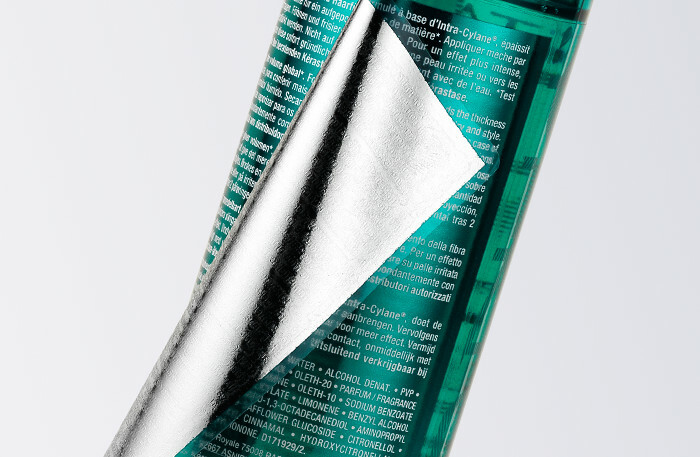 Peel and reseal labels work in the same way as Peel 2 Read labels but have a re-closing capability so they can be opened and resealed throughout the life of the product. Download our Beauty brochure for more information about our capabilities and solutions. Essentra’s decorative labelling solutions help increase your product’s appeal, enhance customer experience and strengthen brand communication. Essentra’s digital label offering gives brand owners the opportunity to manage their packaging requirements effectively and economically through volume, frequency and revision control, helping in the war on waste, reducing inventory and freeing up working capital. Essentra’s extended-content labels are pressure-sensitive, multipanel labels that can more than double the amount of space available for communication without compromising the design or slowing down on-line application speeds.